Plumbing is extremely important to your home. It is literally the system that keeps your house flowing. Therefore, ensuring that you have the best people to carry out your plumbing renovation is extremely important. No one wants to have the hot water cut out on them halfway through their shower! Here at Butler Plumbing, ‘Plumbing’ is literally in our name! 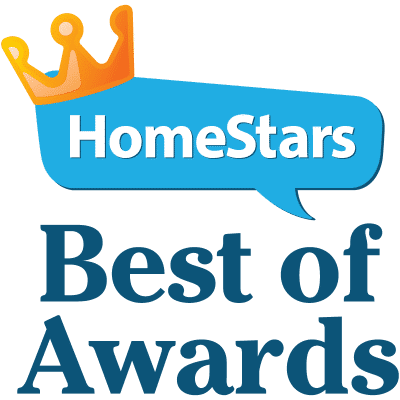 We have been installing and renovating plumbing systems since 2005 and are a leading plumbing and renovations company for the Edmonton area having won the HomeStars ‘Best Of’ award every year since 2013. We hold all the necessary permits and certifications for all new plumbing and gas fixture fittings. Codes must be followed to ensure your safety – gas leaks can be fatal! I want to speak to speak with a plumbing professional. And supply fixtures from the top brands such as: Moen, Riobel, Delta, Price Pfister, Kohler, Toto, American Standard, Elkay, Mirolin, Gerber, Kranke, Kindred, Contrac, Hytec, Maax, Brizo, Novanni, Insinkerator, and Thermosol. Do you want Edmonton’s best plumber to carry out your renovation? Then click here to get a plumbing estimate today! Butler Plumbing will make your basement reno a breeze! Basement renovations can add a lot of square footage and value to your home, making them a great investment! However, extending your plumbing to your basement can be a tricky job. Having it not done properly can lead to many problems down the road. We cover everything from simple toilet installations to full basement plumbing renovation systems to create a comprehensive basement suite. We will work with your basement contractor to ensure your basement renovation vision comes to life. Our reputation is of paramount importance to us, we protect it by always delivering the highest quality of service and dependability. A basement suite renovation is an investment. We work with you throughout the planning stage to make sure the plumbing renovation costs fits your budget and add value to your home. To get a renovation estimate click here. When we undertake a bathroom renovation we have one goal; to make sure your bathroom functions as well as it looks. Our hassle-free service will achieve that goal whilst also adding value to your home. Create more space – A modern bathroom design will make your bathroom feel more spacious by utilizing sleeker and slimmer bathroom fixtures. Add value to your home – Home buyers want modern bathrooms; a newly renovated bathroom will be a great selling point if you ever decide to move! Improve your bathroom aesthetics – Having a brand new and beautiful bathroom will make you want to get up and shower in the morning. We service all bathroom renovations from simple faucet replacements to full top to bottom renovations. You can be sure that Butler Plumbing will deliver. To speak with one of our professionals and get a quote click here. Your Kitchen is most likely the center of your home, it is where you spend most of your time and is the room that gets the most traffic. So, take care of it and make your home shine with a Butler Plumbing kitchen renovation. Kitchen renovations pay the most out of all the renovations you can perform to your house. They add the most enjoyment space to your home and add the greatest value. Here at Butler Plumbing, we can help you utilize your kitchen space with a kitchen remodel that will maximize your kitchen layout. We take on all job sizes and always deliver the highest value. To speak to one of our professionals and get a tailored quote fill out the form below.